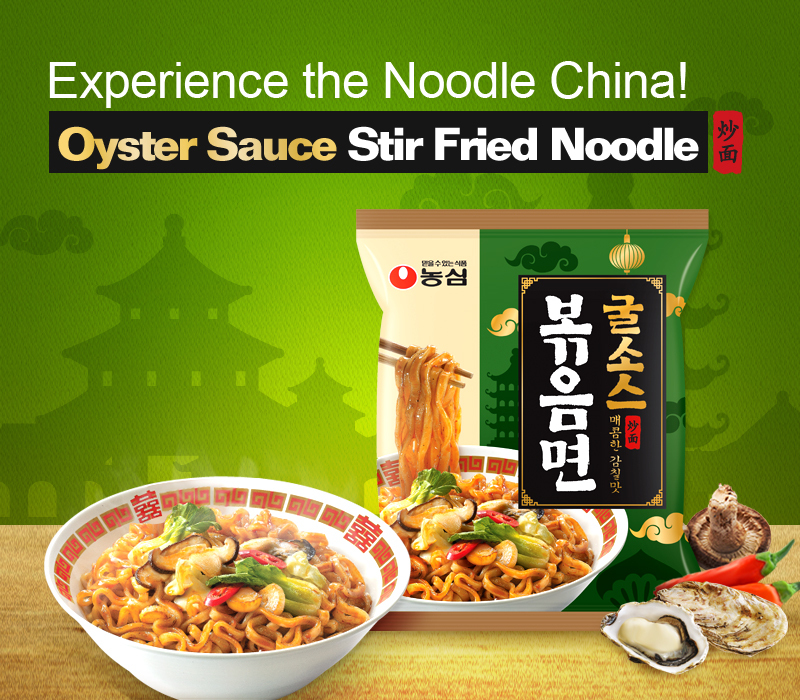 1) Spicy aroma with oyster sauce and chili oil! 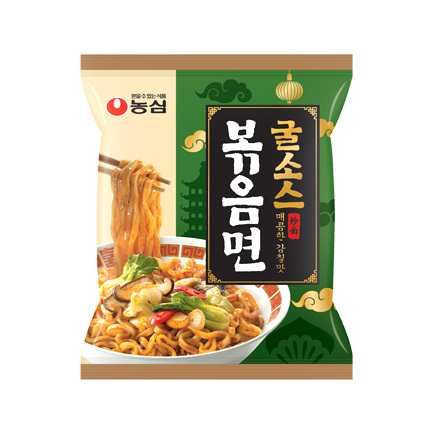 2) Thick and chewy noodle that is perfect for fried! 3) Chunks of flakes such as shiitake mushrooms, bok choi and more! 1) Boil 600 ml of water (about 3 cups), add noodles and flakes, then boil for 4.5 minutes. 2) Turn off the heat and drain the water. 3) Add the sauce and stir for about 30 seconds on the medium heat.